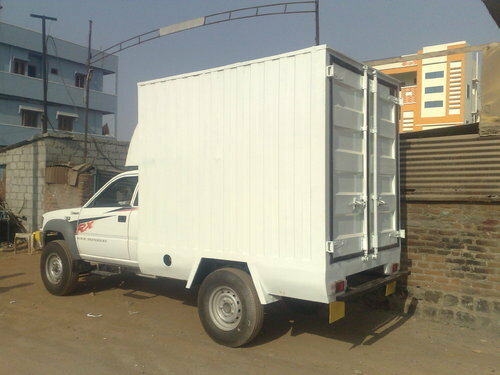 This van is delivered to milk products the interior mince tum pressure Note- Price may vary according to the Design and the Buyers Requirement. Incepted in the year 2007 at Telangana, India, our company “Abhishek Industries” is a leading name in the industry engaged in manufacturing and supplying a wide range of Bus Bodies. We are also a Service Provider of Vehicle Body Fabrication Services, Military Trucks Body Fabrication Services & School Bus Body Fabrication Services. These services are rendered by our expert team of professionals who hold in detail expertise and knowledge in this domain. In these services, we fabricate various ranges of buses, vans and more. We work in close co-ordination with our valued patrons in order to specifically understand that the demands and requirements and the sort of service that they expect from us. Apart from this, we lay strong emphasis on the quality of service that we render to our valued patrons, which helps us to attain satisfaction of our valued patrons to the fullest.